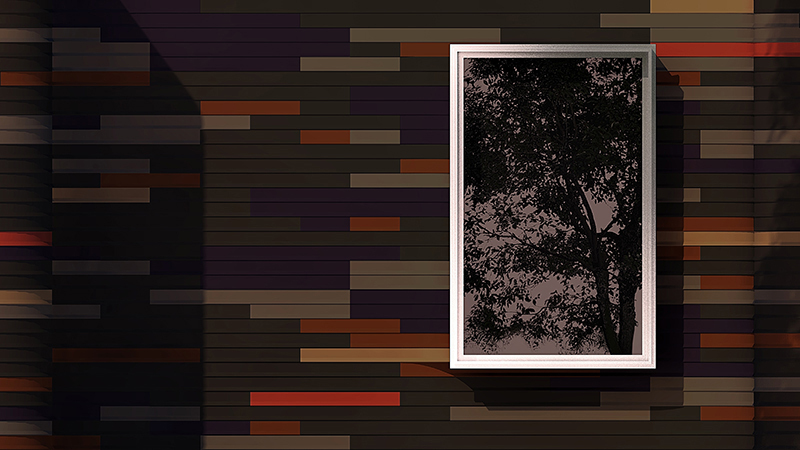 Base Wall transforms discarded wall base into a new exterior cladding system. Construction waste remains a significant global problem. According to the U.S. Environmental Protection Agency, building construction and demolition accounted for nearly 26 percent of total non-industrial waste generation in 2009. Although recycling efforts have improved, a more mobile society has resulted in more frequent retrofit projects; hence, more rapid construction waste generation. The Base Wall project demonstrates a method for reusing one common building product that is frequently disposed: vinyl wall base. Although wall base is typically produced for a long-life in high-traffic areas, it rarely reaches functional obsolescence before it is replaced. In this application, wall base is transformed into a new exterior cladding system that is applied similarly to siding. Given the fact that vinyl is already in widespread use as a siding material, this application requires little imagination. However, unlike the wood-replacement alternative of vinyl in common use, the Base Wall embraces vinyl’s inherent geometric flexibility, and without the fake wood grain texture. Because the Base Wall repurposes a material that remains difficult to recycle, it reduces the burden on landfills and creates a long-lasting cladding system. 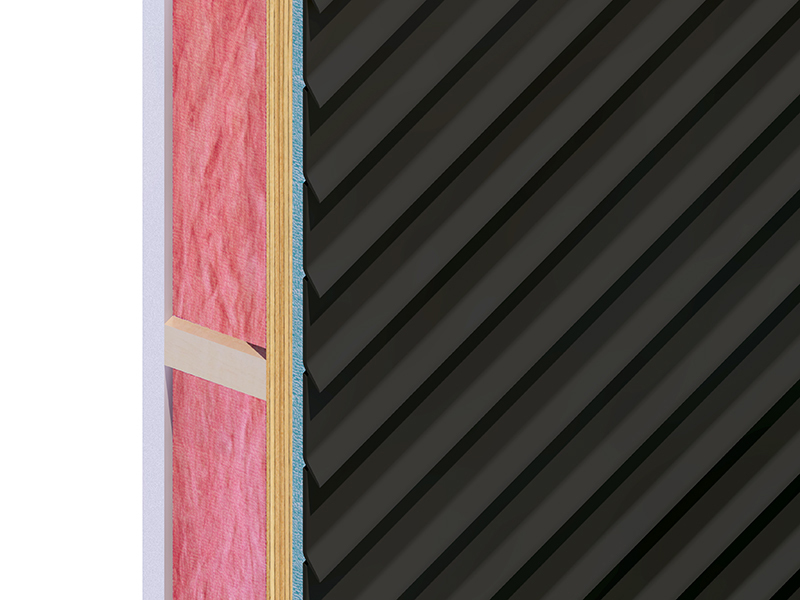 The product’s manufactured shape results in a lapped configuration with a natural drip edge, and it may be attached via an exterior grade, low-VOC adhesive—without the use of penetrating fasteners. 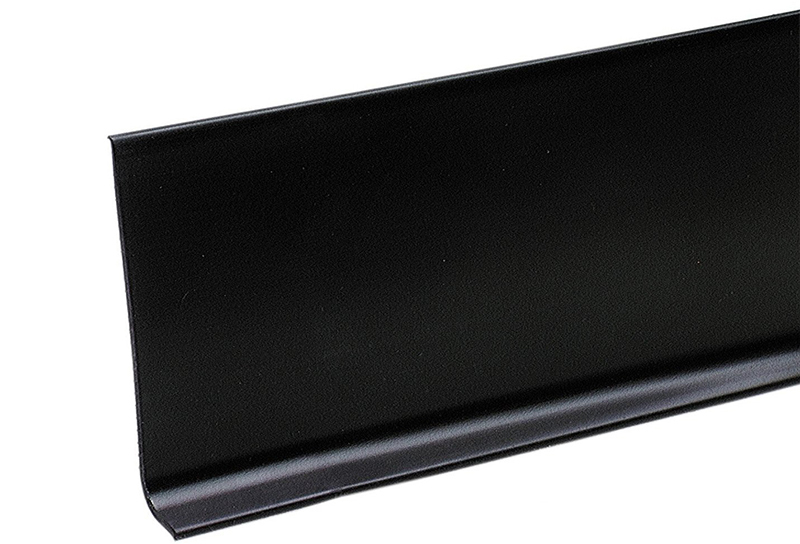 A sample of vinyl wall base. Image courtesy of M-D Building Products. Base Wall wall section detail. Base Wall elevation study, demonstrating the capacity to introduce color variety based on the reuse of existing feedstock. 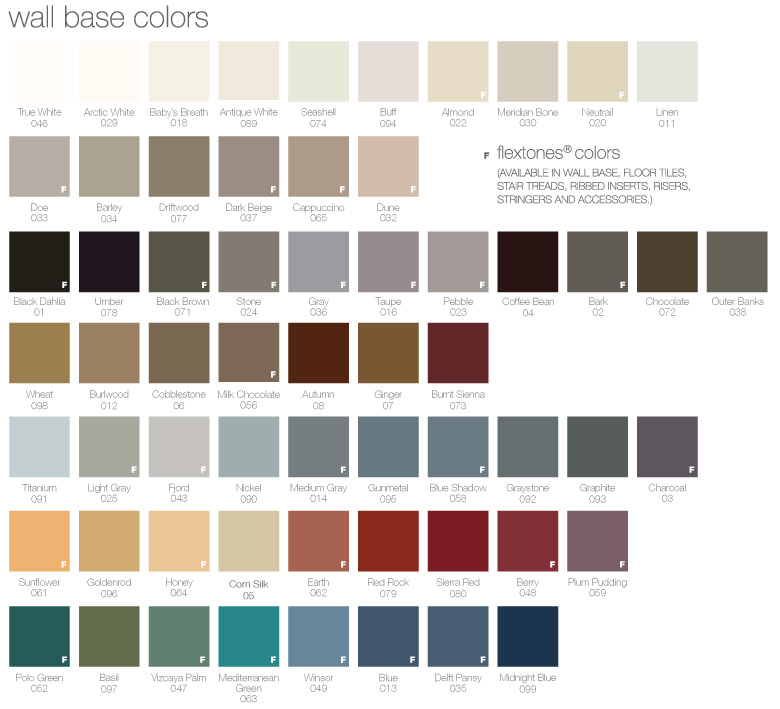 A typical vinyl wall base color palette. Diagram courtesy of Flexco Floors.